I have always been so envious of people who can say TGIF because I still have to work half-day on Saturdays. On top of that, I have agreed to give tuition to a friend’s son for his PSLE Chinese after working half-day at the clinic, so normally by the time I reach home my Saturday is almost over before I even have the chance to enjoy it. Today’s tuition was cancelled, so I have the rest of the day to myself after work at the clinic. To celebrate, I decided to pamper myself at Great World City, a place I have not visited for quite a long while. I will have snacks at Artisan Boulangerie Co. followed by the movie “Hundred-Foot Journey” and end the evening with a delicious dinner at Poulet. 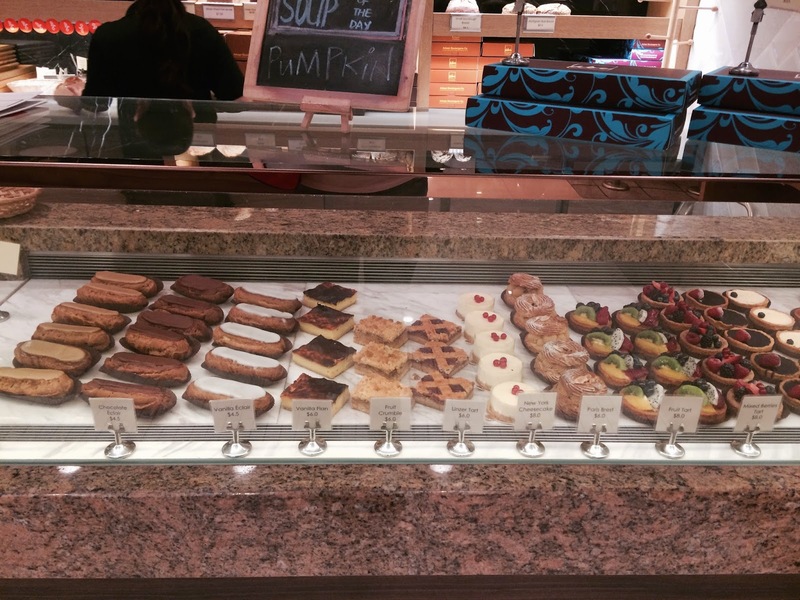 Artisan Boulangerie Co. is a contemporary bakery with French influences. 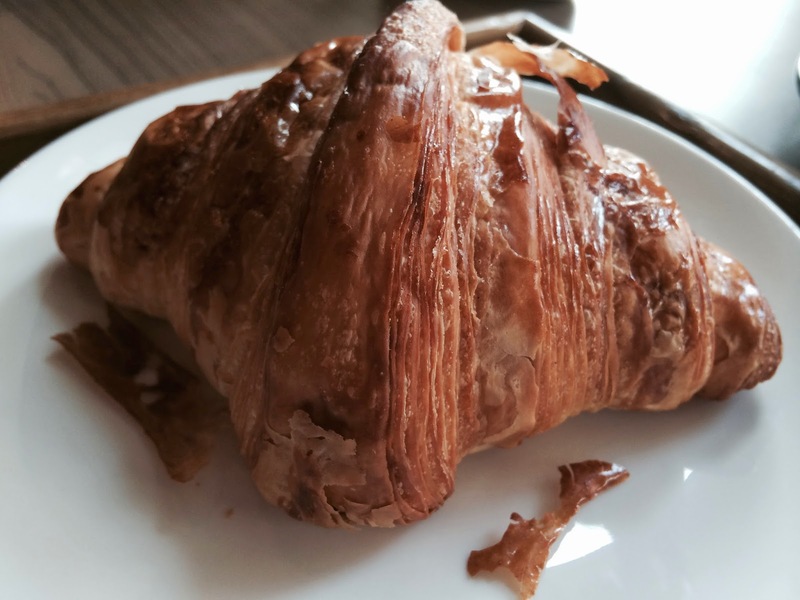 Led by award-winning artisan baker, Eran Mayer, Artisan Boulangerie Co. is a gem of a cafe I discovered when I was planning my day at Great World City. Of course I must have my favourite Croissant. It is flaky on the outside and soft on the inside, but I do wish it could be a little more buttery. 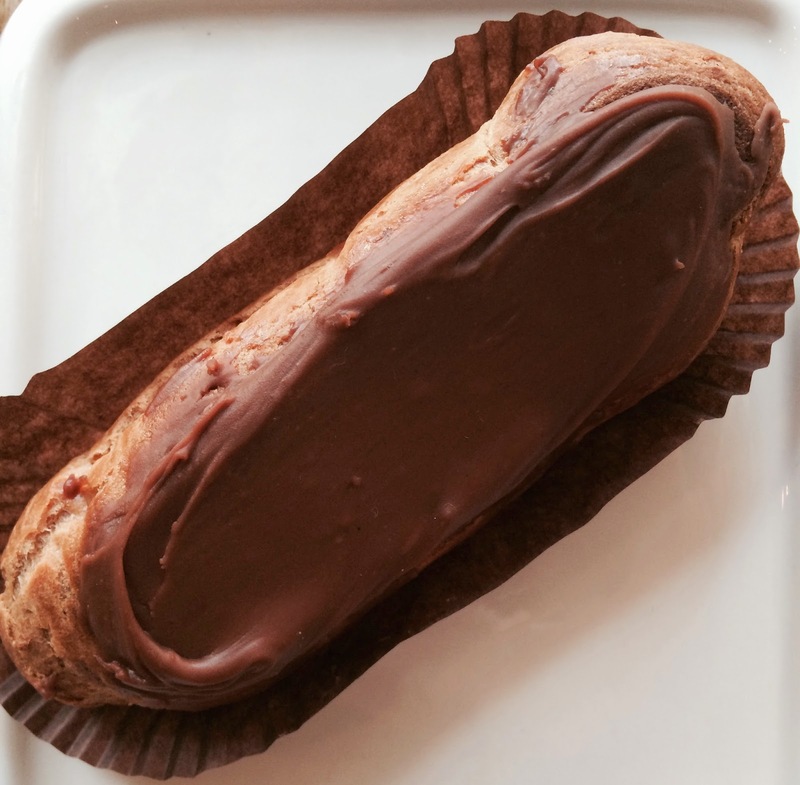 Chocolate Eclair looks simple but it is full of goodness on the inside. 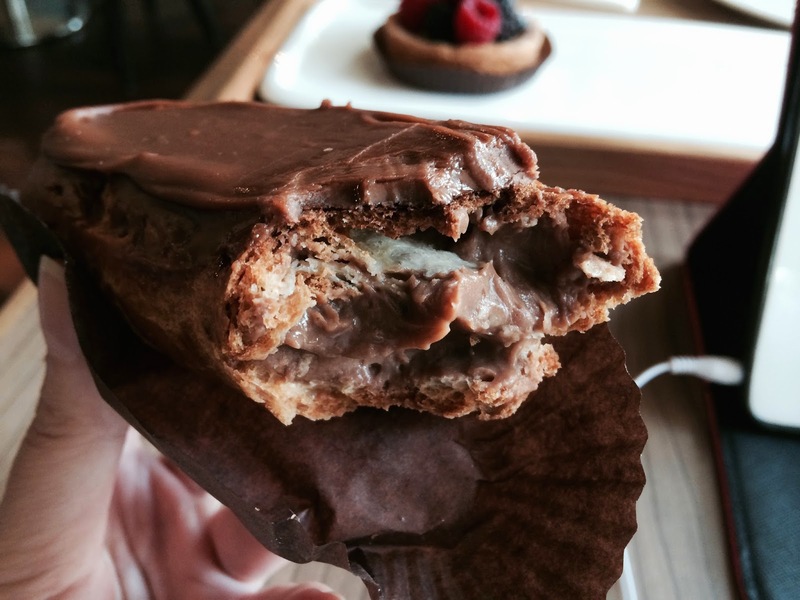 Choux pastry filled with smooth chocolate custard, this is a chocolate-lover’s dream come true. Doesn’t that look just gorgeous? 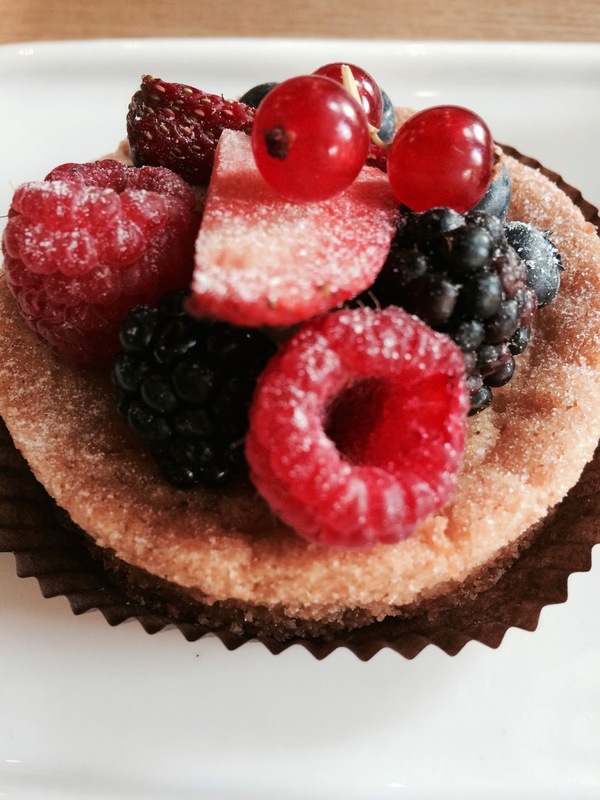 Mixed Berries Tart is a artful assembly of raspberry, blackberry, strawberry, currant and cranberry – many of which are not commonly found in Singapore. 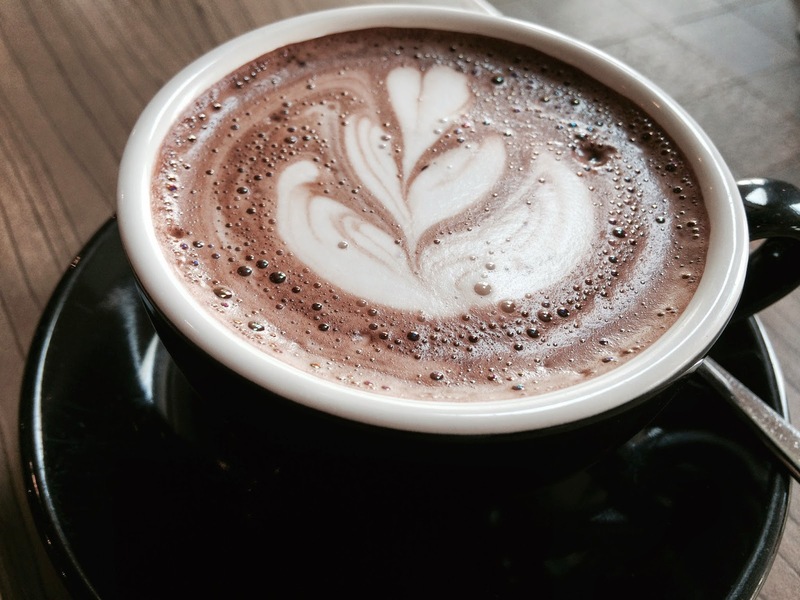 All the delicious treats is best enjoyed with a cup of Hot Chocolate. 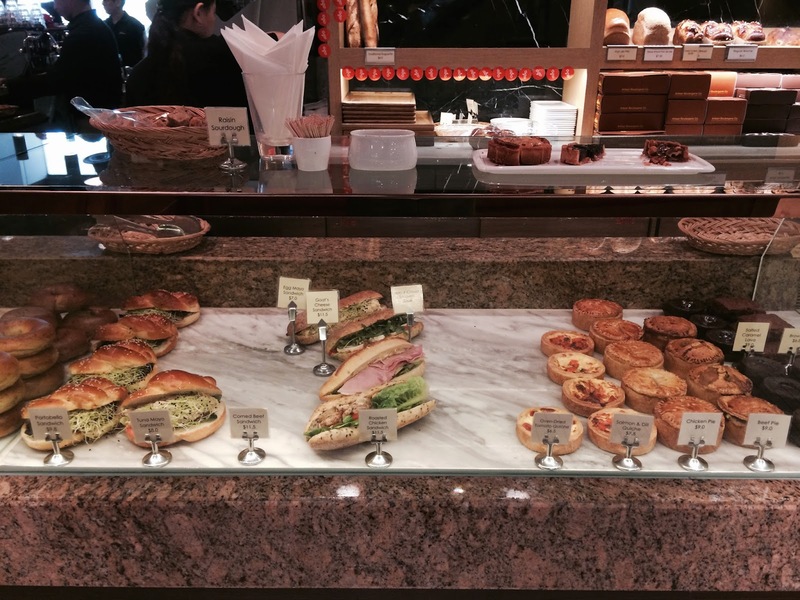 I will definitely be back to try the All-Day Breakfast and the rest of the delicious pastries, sandwiches, pies and desserts. Please visit here for addresses, telephone numbers and opening hours of all 7 outlets. I tried to post a comment here a few days ago, but I think I pushed the wrong button and it disappeared some where. 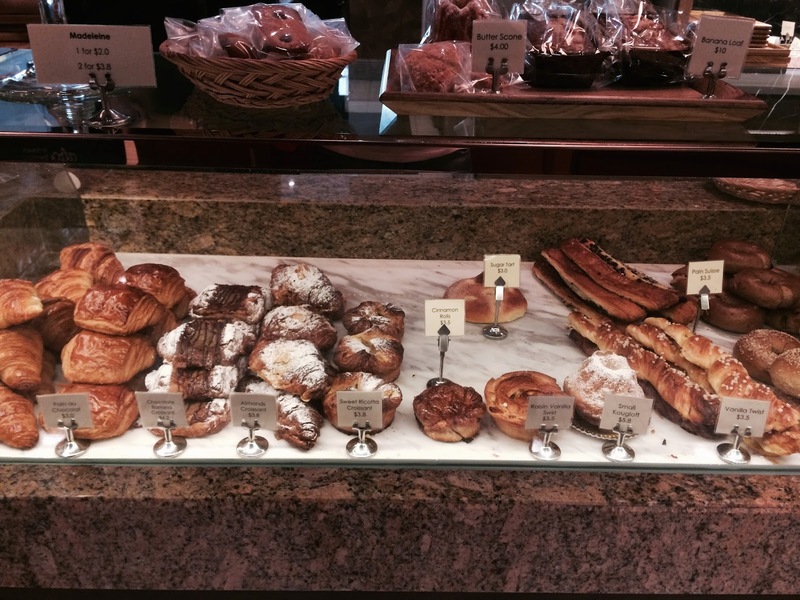 Anyways, I really love french bakeries as they remind me of all the yummy pastries I grew up with in Tahiti. It's kind of sad that the croissants here were a little dry, but I suppose it can be remedied by slathering it in some butter and dipping into coffee 🙂 What kind of filling was in the eclair? I have called up the bakery and confirmed that the filling of the eclair is chocolate custard. I am glad you enjoyed the post!